Ok friends. Summer is coming, and I need a GOAL!! How about YOU? So, there are no prizes, just the fact that you’ll be even more awesome after 50 days!! 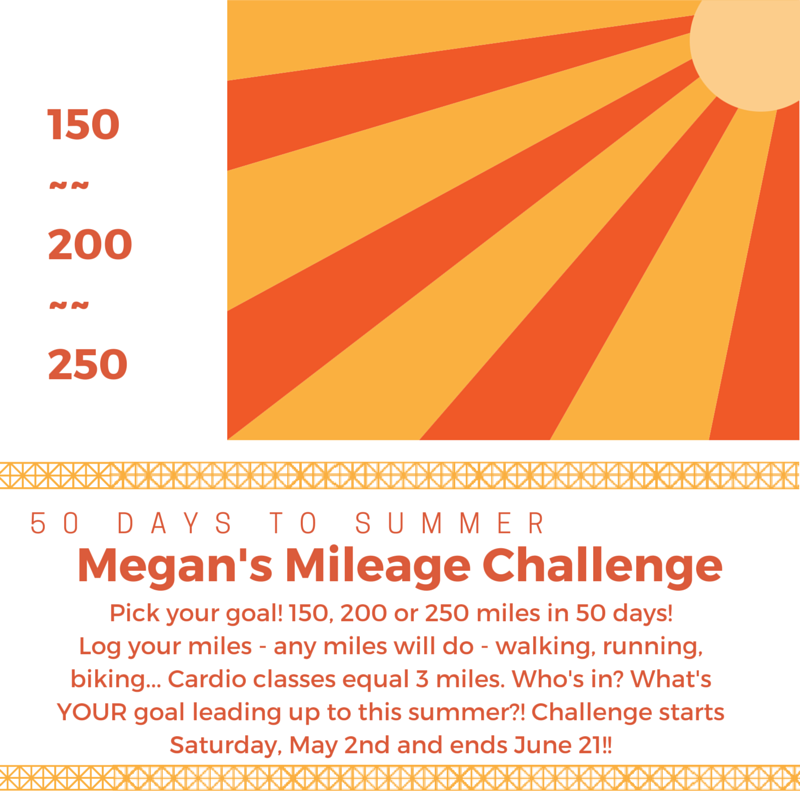 Choose your goal – 150, 200, 250 miles in 50 days. ANY miles will work – walking, running, biking. And let’s count cardio classes like BBC or Shed of boxing for 3 miles (unless you actually log more miles in)!! Find a fun way to log your miles and let’s do this! We start Saturday, May 2nd to June 21 – the first day of summer! Who’s in?! Starts on Saturday!! Nope – nothing counts until Saturday through June 21!!!!!!!!!!!!!!!!! See you soon! !